The city of Kochi boasts a mélange of various cultures, with shades of the Portuguese, Dutch and British seen not only in the architecture of the city but also in the Kochi food scene as well. Kochi is one of the most beautiful cities in ‘God’s Own Country’ Kerala, and so is its food, which is easily some of the best in India. Restaurants in Kochi delight the food senses of diners by serving authentic local flavors along with delicacies from across the world; the unparalleled seafood preparations deserve a special mention. We bring you some of the best restaurants in Kochi that promise to give you food nirvana. Kochi is famous for its non-vegetarian cuisine, especially its fresh seafood, which when infused with the aromatic Kerala spices, takes the food to a whole new level. Nevertheless, the city doesn’t disappoint its herbivore populace as well. There are some very good vegetarian restaurants in Kochi, giving you a wide choice between North Indian, South Indian and Continental cuisine. Brindhavan is one of the best pure veg restaurants in Kochi that offers flavorsome and homely food, which takes you back to your childhood memories of enjoying soulful dishes on a lazy afternoon. Their South Indian filter coffee is one of the best in Kochi and a must-have. You can even sample their fusion offerings like chili idli that is a modern version of the humble idlis. Make sure to visit this vegetarian restaurant in Ernakulam for breakfast. Another favorite of vegetarians in Kochi is Vasantha Vihar, which serves only South Indian food, so you can be assured of getting some authentic flavors here. The place is tucked in a quaint corner and is easy to miss, if not for their large neon sign. It is not too crowded and the prices are easy on the pocket, making it the perfect choice for sharing a cup of tea and dosa with your friends. 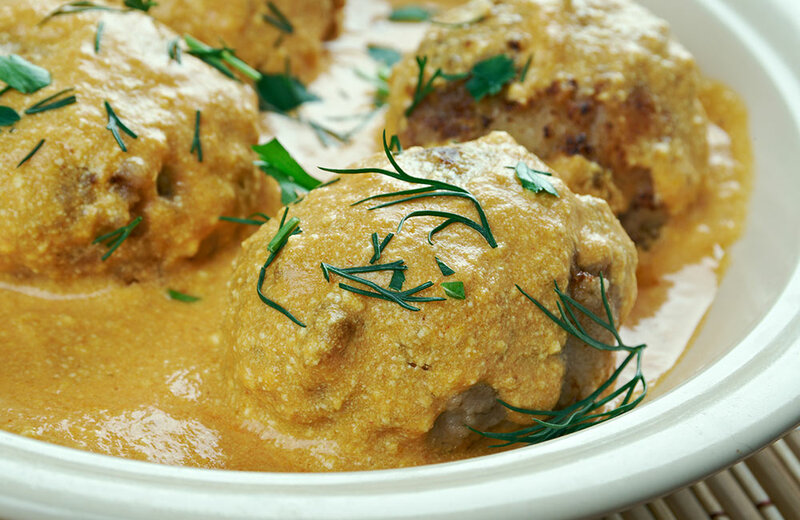 Coastal India and no meat sounds impossible, and it is. So, if you are in Kochi and craving for some lip-smacking seafood or other meat dishes, then check out the below-mentioned non-vegetarian restaurants in Kochi. Sky Bar is one of the top restaurants in Kochi when it comes to amazing seafood that is served in a pleasing rooftop setting. It is quite a sought-after place for its eclectic mix of drinks and starters that take modern cuisine to a completely different level. The restaurant even has some vegan options, keeping in mind its increasing demand. Fort Kochi is a treasure trove of history, and it is also home to some of the best restaurants in Kochi as well. 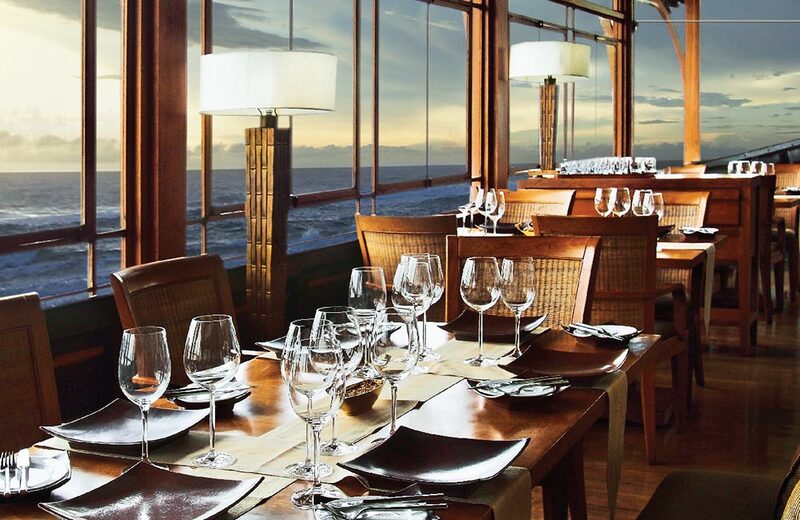 Fort House restaurant in Kochi offers waterfront seating and lip-smacking seafood delights. A thatched-roof entrance, typical of Kerala architecture, leads you to the al fresco restaurant which overlooks the Arabian Sea. See ships sail past you, as your mouth heavenly flavors explode in your mouth. The restaurant serves you the essence of Kerala on a platter. Anyone looking for a good buffet dinner in Kochi cannot miss Barbeque Nation, which rules the buffet scene here like it does in other cities. Live grill at your table with an unlimited cache of kebabs that give you a to-die-for smoky aroma, describes Barbeque Nation aptly. It is easily one of the best restaurants in Kochi on MG Road where you can savor sumptuous seafood at a reasonable price, coupled with great service. Asian Kitchen is another among the famous Fort Kochi restaurants that serve pan-Asian cuisine. While Oriental cuisine is often misunderstood to be meat heavy, Asian Kitchen offers a large selection of vegetarian dishes as well. It has an open air seating area, giving a good view of the lush green lawns, making it a great place to visit in Kochi for couples. Regulars to the restaurant swear by the melt-in-the-mouth dim sums and sushi made in the traditional style. If you are looking for some food offers in Kochi, then remember you can get an additional discount of 25 per cent if you are a member of the Cochin Club. Fort area in Kochi is a foodies’ paradise for the place is decked with restaurants that cater to the taste buds of people with varied palates. If you are looking for amazing seafood restaurants in Kochi, then march straight to Fusion Bay. The interiors give you a homely feel as does the food which takes you to a traditional home on the Malabar Coast with its exquisite flavors and the aromas exuded by the spice mix used by chefs here. The restaurant serves exemplary seafood which is made in traditional style. Their complimentary pumpkin soup is so yummy that it makes you await the main course with heightened anticipation. Kochi, being a coastal city, excels in its seafood dishes that wow you with their freshness and attention to detail. This iconic restaurant in Kochi ticks all the right boxes; food, service, and ambiance. It is based on a ‘kettuvalam’ or houseboat, transporting you to the backwaters of Kerala, while you gorge on some exotic seafood. Gourmands can pick their choice from the day’s catch, which is then prepared with the utmost care to keep the essence of the seafood intact. The Rice Boat is unmatched when it comes to seafood in Kochi. One of the popular dishes at the restaurant is Meen Pollichathu, which is white snapper wrapped in banana leaf, best enjoyed with their paper-light appams. Spend some time after your meal at this fine-dining restaurant in Kochi to enjoy the view of the backwaters while sipping on a hot cuppa. Kochi entices people with some world-class culinary delights that leave you wanting for more as the taste of the food stays with you for long. For some, the food served is as important as the ambiance, and some Cochin restaurants make the experience more memorable with their uniquely themed interiors. One of these is Ginger House in Kochi is located inside a museum, so the guests get a helping of history along with their food. It is the only restaurant in India which is inside a museum and this is one of apparently the reasons to visit this place for sure. If you love the flavor of ginger in your food, then it will delight you with their ginger-infused dishes, right from drinks to ice creams. Finish off your meal with an aromatic ginger tea that will uplift your spirits instantly while you enjoy the waterfront view. Kochi is a city that, in line with its potpourri of cultures, serves world cuisine as well as authentic Kerala food. Most restaurants in Kochi specialize in food from all parts of the globe with a distinct Indian twist that takes the experience to a different pedestal. Masala is one of the restaurants that serve buffet lunch in Kochi. The lavish buffet spread, a live band that keeps you entertained and comfortable seating, all make Masala one of the top restaurants in the city. You will have a hard time picking your poison from the wide assortment of dishes from the Italian, Mediterranean and North Indian fare. And, if world cuisine was not enough, traditional delicacies like prawn curry will cheer you up. Sunday brunches at Masala are quite popular among patrons. Whichever part of India you are in, you are sure to find the lovers of North Indian cuisine, and Kochi lives up to this expectation. Dal Roti is one of the best restaurants in Cochin for sampling delights from the North that are cooked in the traditional way to perfection. The atmosphere is pleasant, the food tickles your palate, the portion sizes are big and prices are quite reasonable. And, if you are looking for restaurants near or on beaches in Kochi, then this is the one to visit as it is just a short walk from Fort Kochi Beach. Looking for some Kerala fare served in style? Then, go no further than Dhe Puttu, which is sure to wow you with its authentic Kerala dishes. Though the cuisine here is local, it has some amount of innovation blended in, to make it even more interesting and tantalize your taste buds. The complimentary poppadums and sulaimani set the tone for the sumptuous meal you are about to enjoy. The tables are set along what seems like a life-size model of an old railway engine, which looks interesting. Known for its authentic puttus that are superb and Kada Fry which is a small whole fried quail, the restaurant is a favorite among the local crowd as well as the tourists wanting a taste of Cochin food. Their ice- cream puttus are a hit among kids who dig into those with delight. Some of the best restaurants in Kochi are its cafés that are perfect for a casual meal with friends. Serving fabulous snacks, desserts, and drinks, these cafés are an integral part of Kochi’s culinary culture. Let’s have a dekko at some of these gems of the city. True to its name, the interiors of this café have been done with some eclectic artwork that enhances the historical building which houses this restaurant in Fort Cochin. Since the restaurant also dons the role of an art gallery, you will find many artists flocking here. The traditional interiors of this bohemian café are made up of dried leaves, big pots and a skylight that sets the tone for a perfect meal. When the aroma from fresh hand-ground Malabar coffee mixes with the scent of nature, it is quite a rejuvenating experience. The café sources local organic products that make it a favorite among the health conscious. Do not forget to sample their lemonade, fresh avocados on toast with poached egg and omelets. Electric blue dream-catchers and tangy yellow lights catch your fancy the moment you enter this zesty cafe in Kochi. The whacky and quirky props used as part of the decor offer the perfect backdrop to sip coffee or lassi while finishing that book you have wanted to read for a long time. 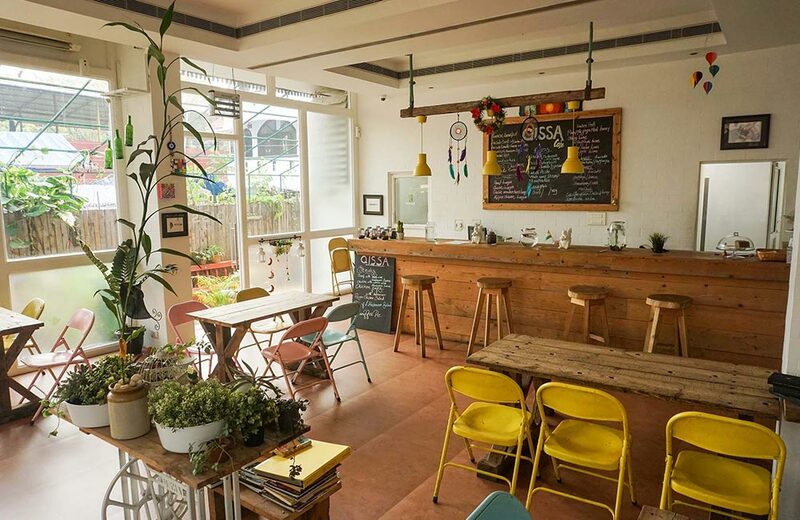 Egg lovers find this cafe an ‘eggstreme’ heaven for it serves a wide assortment of egg dishes along with some amazing tea and coffee. Don’t miss out on the tables which are actually old sewing machines! It is easily one of the good restaurants in Fort Kochi that should be on your list. Some other great restaurants In Kochi are Malabar Junction in Fort Kochi and Solar Cafe. With so many online services offering restaurant deals in Kochi, you can book a table for yourself in advance, especially on weekends when crowds throng these places. For hassle-free access, you can stay at hotels in Kochi near these incredible dining venues that will leave you drooling till long after you have gulped everything on your plate.